Unfortunately there will be no 2016 airshow, But stay tuned for future announcements! Thanks for a great 2014 Lehigh Valley Airshow. There will not be a 2015 airshow. Stay at one of our preferred hotels and get discounted rates! Q: What is an airshow? A: An airshow is an event at which aviators display their flying skills and the capabilities of their aircraft to spectators in aerobatics. Airshows usually include some type of static aircraft displays on the ground for spectators to walk through. Q: Can I fly into the Lehigh Valley Airshow? A: Visiting aircraft must arrive before 10:00 AM on Saturday or Sunday and cannot depart earlier than 6:00 PM on either day. Q: What is the performer schedule? Q: Will the airshow be televised? A: The 2014 airshow will not be televised until after the event, so please come join us for the experience the day of! DVDs of the airshow will also be available for pre-purchase at our merchandise tent, as well as available for purchase online following the event. Q: Are cameras and video cameras allowed at the event? Browse our Lehigh Valley Air Show keepsakes! Lehigh Valley, PA– Joining the lineup for the 2014 Lehigh Valley Airshow, is the one-of-a-kind Sea Harrier. This former US Marine Corps officer, Art Nalls, is the only person in the world to privately own, and pilot, an air-worthy Harrier. The Sea Harrier is known for it’s short take-offs and vertical-landing/take-offs, and is sure to be a crowd favorite, as it is quite noisy and a very unique aircraft to witness in action. With quite the unique story himself, Nalls has flight time in approximately 75 different aircraft, model, in addition to the “Harrier.” These include the B-52, C-141, C-130, A-7, A-37, T-38, F-4, F-5, F-15, and F-16, and F-18. Also joining this year’s lineup, is the T-28 Demo Team. The T-28 is a large, fast and loud warbird with combat history and a growling 1425 HP radial engine. These warbirds have a commanding presence that generates a lot of excitement in the air. New for this year, the Lehigh Valley Airshow is pleased to announce the addition of NASA to the static display area. NASA’s Explorations Systems Development/Space Launch System Exhibit will allow guests the opportunity to explore launch system and flight hardware with an interactive touch screen presentation, view a video in the theater, take an up-close look at a scale model of NASA’s next rocket, the Space Launch System and Orion, the multi-purpose crew vehicle. Visitors can also have their picture taken as an astronaut. This is one of only two aviation events where this NASA display will be available this year. Special tickets are available for this year’s show, including a $100 “Backstage Pass” for Friday’s practice show and a 12+ group sales discount of 10% when purchased at the airport, cash only. More information is available on www.lehighvalleyairshow.com. The Sands Lehigh Valley Air Show, presented by Service Electric, is one of the few air shows taking place in Pennsylvania this year. On August 23& 24, 2014, spectators will be able to enjoy static aircraft displays and a classic car show, there will also be a jet team, flight performances, sky diving demonstrations, exhibitors, food vendors and sponsored special events. Airshow gates will open at 9 AM, with performances from 12-4 PM. Ticket prices are as follows: Advanced Adult: $15, Advanced Child: $9, Gate Adult: $18 and Gate Child: $12. Children under 4 are free. Advance tickets will be available at Sands & Co., Wegmans, TopStar Express, Lehigh Valley International Airport Monday-Friday 8a-4p, Days Hotel, Hilton Garden Inn, Homewood Suites, Staybridge Suites and www.lehighvalleyairshow.com. The airshow entrance will be located on Race Street, just off Airport Road. Parking is permitted only in designated areas and will be offered free to airshow guests. More information on parking locations will be announced at a later date. For more info visit: www.lehighvalleyairshow.com or www.facebook.com/flylvia. Lehigh Valley, PA – Joining the lineup for the 2014 Lehigh Valley Airshow, is the fan favorite, Black Diamond Jet Team. Back for the second year, the Black Diamond Jet Team is a four ship aerobatic civilian-owned jet team based in Lakeland, Florida. The L-39 is the most widely used high performance jet trainer in the world and serves in over 30 air forces across the globe. The Black Diamond Jet Team’s jammed packed performance will include precise maneuvers that are taught to military pilots around the world. 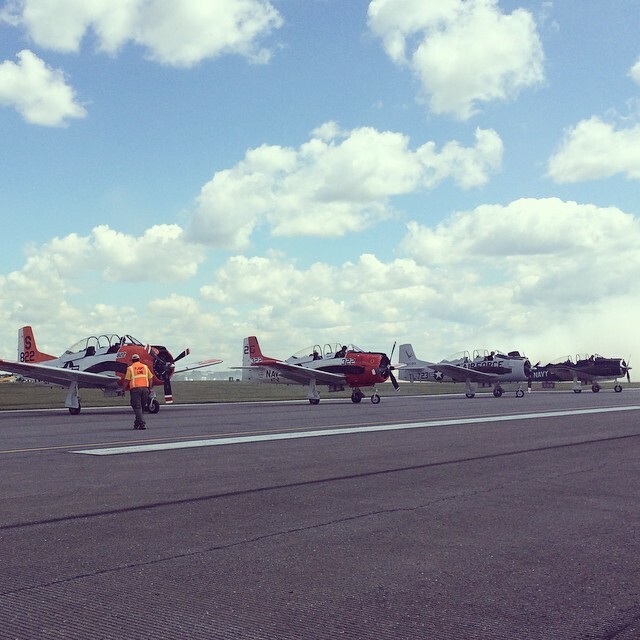 “The Black Diamonds were a hit with young and old spectators alike, and we are thrilled to have them perform at the Lehigh Valley Airshow for the second year in a row”, said Charles Everett, Executive Director, Lehigh-Northampton Airport Authority. The Black Diamond Jet Team also has a local connection. Jared Isaacman, who flies the right wing position on the team, is the founder and CEO of Harbortouch (formerly United Bank Card, Inc), a leading national supplier of point of sale (POS) systems, credit card processing equipment and a full range of merchant services and is based in Allentown, PA. “Over the last four years, the pilots and crew of the Black Diamond Jet Team have had some of the greatest times of our lives performing in front of millions of people, and we couldn’t be happier about performing in front of our local, hometown fans here in Allentown,” said Isaacman. Airshow tickets are on sale beginning today. Advanced discount tickets will be sold from now until August 22. Advanced Ticket Prices: Adult: $15 Child: $9. Gate Ticket Prices: Adult $18 Child: $12. Military IDs can be shown at the gate for a further-reduced fee of $10. Special tickets are available for this year’s show, including a $100 “Backstage Pass” for Friday’s practice show and a 12+ group sales discount of 10% when purchased at the airport, cash only. More information is available on www.lehighvalleyairshow.com. Advanced tickets can be purchased online or at: Sands & Co., Wegmans locations, Top Star Express locations, Ike’s Service Centers (3 locations), Staybridge Suites, Residence Inn, Homewood Suites, Towne Place Suites. The Sands Lehigh Valley Air Show, presented by Service Electric, is one of the few air shows taking place in Pennsylvania this year. In addition to static aircraft displays and a classic car show, there will also be a jet team, flight performances, sky diving demonstrations, exhibitors, food vendors and sponsored special events. Airshow gates will open at 9 AM, with performances from 12-4 PM. Ticket prices are as follows: Advanced Adult: $15, Advanced Child: $9, Gate Adult: $18 and Gate Child: $12. Children under 4 are free. Advance tickets will be available at Sands & Co., Wegmans, TopStar Express, Lehigh Valley International Airport Monday-Friday 8a-4p, Days Hotel, Hilton Garden Inn, Homewood Suites, Staybridge Suites and www.lehighvalleyairshow.com. The airshow entrance will be located on Race Street, just off Airport Road. Parking is permitted only in designated areas and will be offered free to airshow guests. More information on parking locations will be announced at a later date. For more info visit: www.lehighvalleyairshow.com or www.facebook.com/flylvia. Lehigh Valley International Airport is conveniently located near Allentown, Bethlehem and Easton, Pennsylvania and is served by Allegiant Air, Delta, United, and US Airways with 9 nonstop destinations with connections to the world. LVIA serves a twelve county area with a population base of 3.6 million people. The Airport is easily accessible from communities in eastern Pennsylvania and northern New Jersey areas. For more information on LVIA, visit www.flylvia.com or www.facebook.com/flylvia. Lehigh Valley, PA-The Lehigh-Northampton Airport Authority (LNAA) has just announced an exclusive “inside look” experience for the 2014 LV Airshow. Inside look at the 2014 airshow in the Aviator tent directly on the showline, before anyone else! Free entry into the airshow for both Saturday & Sunday, as well as access into the Reserved Seating Area. Lunch and soft beverages will be provided. Meet & Greet with the 2014 Performers. A 2014 LV Airshow poster to get signed by the Performers. A 2014 Official LV Airshow Program. Automatically entered to win tickets to Friday night’s VIP Performer Party at Vision Bar at Sands Bethlehem. Also new this year, is group sales. For groups of 12 or more, tickets can be purchased directly at Lehigh Valley International Airport, cash only, for a 10% discount. Those wishing to do so may visit the third floor reception area Monday-Friday between 9AM-4PM. All tickets are available for purchase on June 24, 2014. General Admission tickets and Backstage Pass tickets can be purchased online at www.lehighvalleyairshow.com. General Admission ticket prices to be announced on June 24. The Sands Lehigh Valley Air Show, presented by Service Electric, is one of the few air shows taking place in Pennsylvania this year. In addition to static aircraft displays and a classic car show, there will also be a jet team, flight performances, sky diving demonstrations, exhibitors, food vendors and sponsored special events. Airshow gates will open at 9 AM, with performances from 12-4 PM. Ticket prices will be announced at a later date. Children under 4 are free. Advance tickets will be available at Sands & Co., Wegmans, TopStar Express, Lehigh Valley International Airport Monday-Friday 8a-4p, Days Hotel, Hilton Garden Inn, Homewood Suites, Staybridge Suites and www.lehighvalleyairshow.com. The airshow entrance will be located on Race Street, just off Airport Road. Parking is permitted only in designated areas and will be offered free to airshow guests. More information on parking locations will be announced at a later date. For more info visit: www.lehighvalleyairshow.com or www.facebook.com/flylvia. Lehigh Valley, PA – The 2014 Sands Lehigh Valley Airshow presented by Service Electric is guaranteed to rival the former as this year’s show is set to take flight August 23 & 24. In addition to the all-woman’s skydiving team, the Misty Blues, the 4CE demo team is set to take the stage at this year’s show. Bill Stein is back in action after his fight against cancer kept him grounded last year. This complete, 4-ship team will offer even more thrills for 2014. New for 2014, is the addition of both the Canadian Harvards Aerobatic Team and Gene Soucy and Teresa Stoke’s wing-walking and ShowCat act! Gene’s ShowCat biplane solo makes the crowds go wild, and his one-wheel landing proves the show isn’t over until the big kitty purrs. Wingwalker Teresa Stokes will thrill the crowd as she climbs about the wings of the ShowCat, piloted by Soucy. Anything is possible with these two in the air! Also new this year is the Canadian Harvards Aerobatic Team. Flying a three-ship formation of T-6’s, the Harvard’s are sure to demonstrate some of the best aerobatic formations in the industry in these stunning vintage WWII aircraft. The T-6 is sure to be a crowd pleaser- with it’s smoke and sound enhancing the airshow spectator experience. Don’t miss your chance to hear the “Harvard Roar” overhead at this year’s show! More information regarding gate times, ticket prices and purchasing options will be announced at a later date. Performer, vendor and exhibitor schedules TBA. More information, as it becomes available, can be found at www.lehighvalleyairshow.com, airshow@lehighvalleyairshow.com or 610-231-5210. Lehigh Valley, PA – The Lehigh-Northampton Airport Authority (LNAA) has just announced that an air show will be held at Lehigh Valley International Airport on August 23 & 24. The Sands Bethlehem has signed on as the title sponsor for this event. “We are pleased to support LNAA as the title sponsor for the 2014 Lehigh Valley Airshow. The event was a tremendous success last year, and we are thrilled the team at LNAA has chosen to bring it back to the Lehigh Valley International Airport again this August”, said Julia Corwin, Director of Brand Marketing. Last year’s air show attracted over 40,000 people over the course of two days. This year’s show is expected to rival the former, with more choices, attractions and performances planned for 2014. “We are excited to bring back the Lehigh Valley Airshow for the second year in a row as we continue to promote the Lehigh Valley International Airport, engage the community and increase interest in aviation”, said Charles Everett, Executive Director of the Lehigh-Northampton Airport Authority. Share your photos with us on Facebook, Twitter, and Instagram! © 2019 Lehigh Valley Airshow. All Rights Reserved.